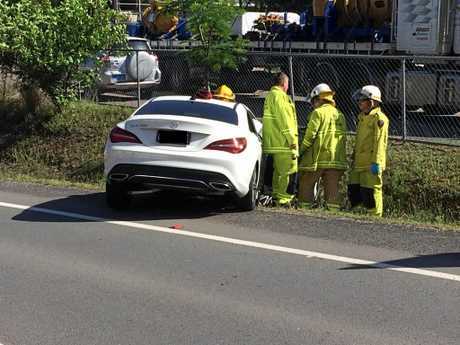 UPDATE 4.40PM: TWO people have been taken to hospital and a third has escaped injury in a two-car crash on the Bruce Highway at Chatsworth today. A Queensland Ambulance spokeswoman said a man in his 40s and a woman in her 70s were taken to Gympie Hospital in stable conditions. 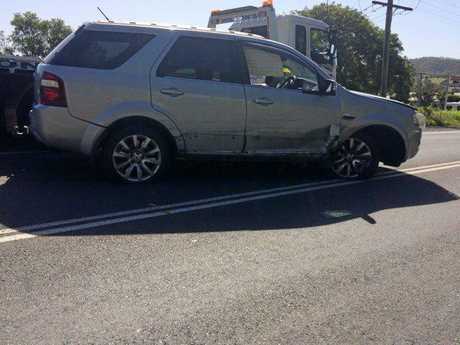 Emergency services were called out when a white Mercedes collided with a silver 4WD just before 3pm this afternoon. The highway was blocked in both directions while the crash was cleared, and is now open again. 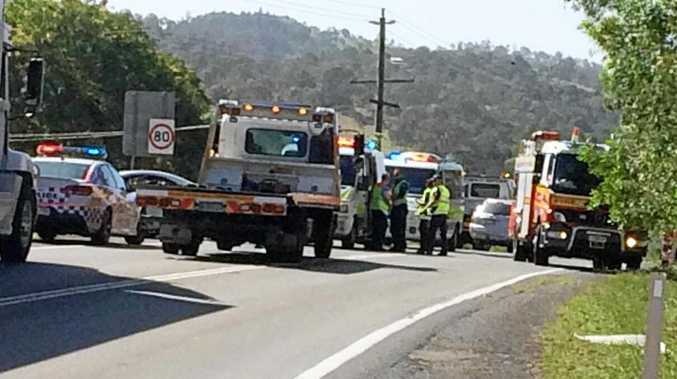 EARLIER 3.20PM: TWO people have been injured in a multi-car crash on the Bruce Highway this afternoon. Emergency services were called to the crash near Chatsworth about 2.45pm which involved at least two vehicles. A Queensland Ambulance spokeswoman said three people were assessed at the scene: a woman in her 70s for minor injuries, a man in his 40s for a cut to the head and a third patient who looks to have escaped injury. 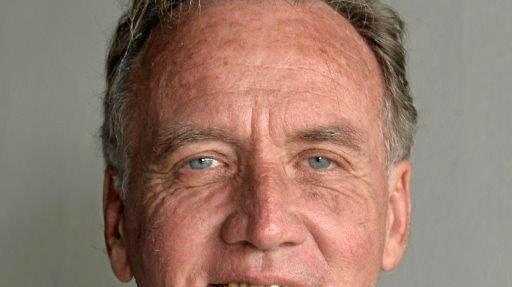 She said one of them had been taken to Gympie Hospital, but could not confirm which one. Traffic is being diverted around the scene.